Kwara South PDP, Ex-dep. Gov. welcomes Senator Rafiu, say Kwara overrides political difference with Saraki – Royal Times of Nigeria. The Kwara South Senator, Dr Rafiu Adebayo Ibrahim was on Monday 6th August, 2018 giving a glamorous welcome by the organized members of the Kwara South PDP members. The PDP members chaired by Engr. Agboworin Orimadegun and the Secretary, Hon. Biodun Olawuyi led other members of the Kwara South PDP to welcome the Kwara South Senator, Dr Rafiu Ibrahim. The PDP members said that the defection of the Senate President, Dr Abubakar Bukola Saraki is a welcome development and stated their readiness to work with him to salvage the country from its recent stagnation. The convener of the meeting and former Speaker, Kwara State House of Assembly, Rt Hon. Babatunde Muhammed, expressed the readiness of the Kwara PDP most especially, members from Kwara South to work with the Senate President. The former Speaker emphatically stated that those who are jumping ship because Dr Saraki defected to PDP did so based on personal hatred devoid of any principle or interest of the state. 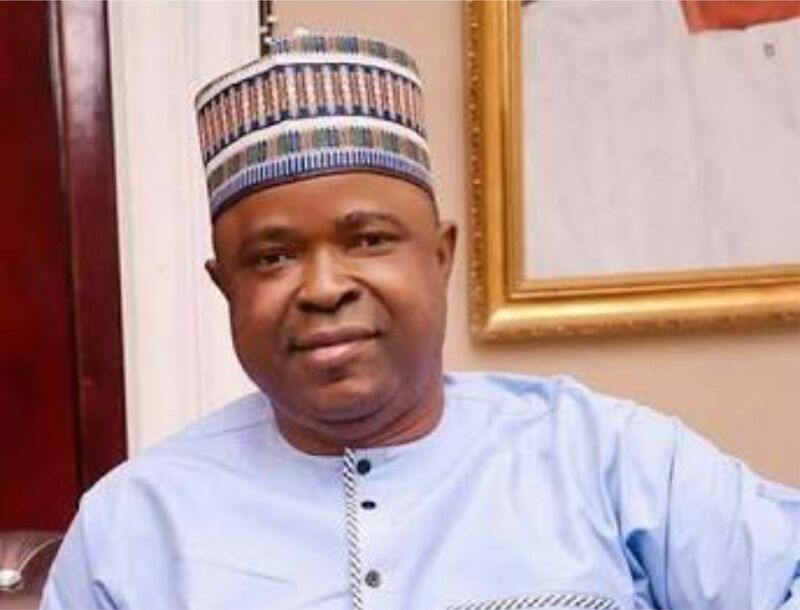 Senator Rafiu, while appreciating the PDP members for their determination to strengthen the democratic principles, assured them of the Senate President’s position on fairness, justice and equity both in party activities and governance. He urged the people to be rest assured of total inclusiveness as no group will be marginalized in the interest of the State and the people. A two terms Deputy Governor of Kwara State, Elder Joel Ogundeji has described the defection of the Senate President, Dr Abubakar Bukola Saraki as a good development in the interest of the country. The former Deputy Governor made this known when he received the Kwara South Senator, Dr Rafiu Adebayo Ibrahim in his residence in Ilorin earlier on Monday, 6th August, 2018. Senator Rafiu Adebayo Ibrahim who was in company of his people visited the former deputy governor as part of plans to properly integrate the defectors and other PDP members. Elder Ogundeji pointed out that, “There’s no point in being adamant as a party member, we welcome Senator Saraki and his political team with open hands and accept his leadership as pronounced by the national body of the People Democratic Party (PDP). “If there are grievances, we can always come around and settle issues for the sake of development of our people and our dear State, he said. The former Deputy Governor, affirmed that Dr Saraki is human and could be approached for corrective measures. He reiterated that there are still work to be done, to bring back the misled members for the development of Kwara and for the actualization of the party’s goal. Elder Joel Ogundeji confirmed the unforgettable roles of Baba Saraki in the historical development of not only Kwara but Nigeria. He prayed for the soul of the late Oloyee, Dr Abubakar Olusola Saraki. He therefore urged the people of Kwara to work with the Senate President, Dr Abubakar Bukola Saraki to bring about the desired development in Kwara and in the country in general. He also thanked the Kwara South Senator, for the honour done on him with his visit.